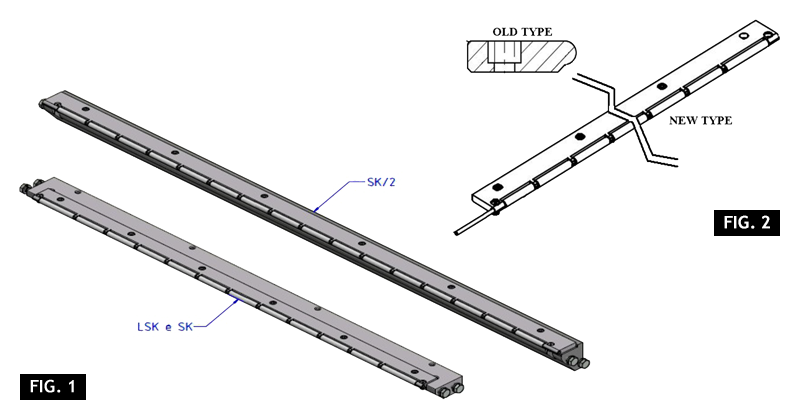 This upgrade consists in the replacement of the belt plate with a new 'long-life' roller plate. The original system featured a complex-shaped plate on which the belt slid. The new solution replaces this dead plate with a roller plate, which reduces friction and consequent over-heating. The rollers are made of friction-resistant material, thus avoiding friction with the belt and with the fixing pin, in order to avoid the pin deformation and reduce the belts wear. This solution is possible on LSK and SK machines, single and double lane, series 8000 and series PC.